At the very end of last year If Insurance wished to thank their clients for yet another successful year and send it off with a positive message. All-in-all a new years wish of some sort. 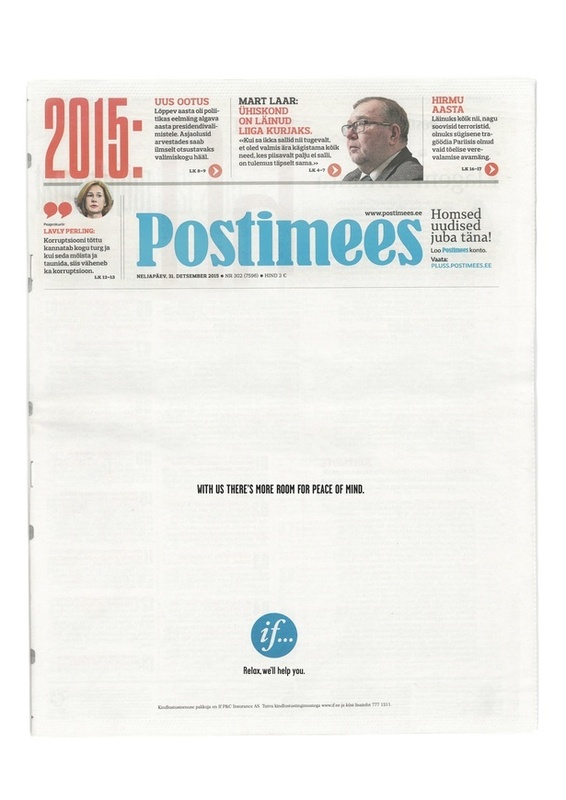 The print ad was published on the cover of Postimees newspaper on the 31st of December. We came up with a minimal and straight forward creative concept communicating the core value of If Insurance - piece of mind through risk prevention - and doing it by giving the readers a well deserved break from the usual information and media overload and also some clear mind space after the busy holiday period.